Due to poor management on my part I now have a horrendous case of repetitive stress in my right arm and hand. This will have to be brief. Sugarcube has a small selection of adorable designs hand cut and assembled. 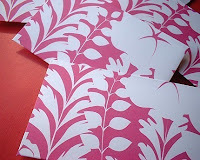 My favorite items are the pink printed cards and the animal silhouettes against heavy brown cardstock. 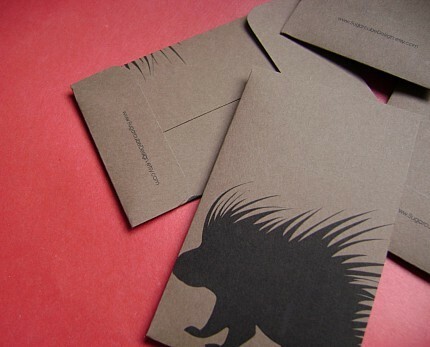 The porcupine printed envelopes are simple, fun and so unique! Another favorite is Buttercream. 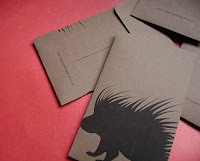 These sweet little cards are each cut, folded, and stamped by hand, all with a touch of whimsy. 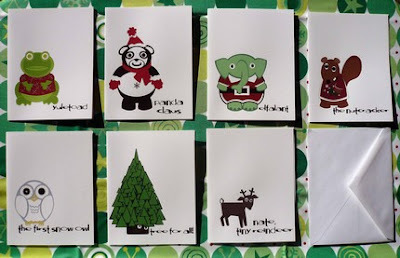 Cards are decorated with sequins and sprinkled with glitter. 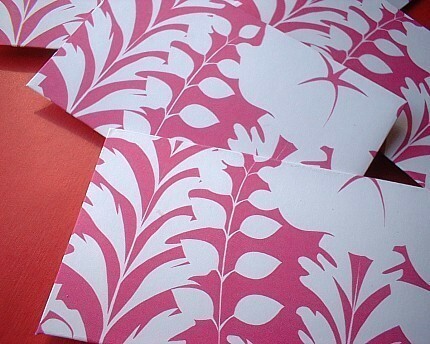 Find sweet holiday notes of funky snowflakes and dancing penguins or use some of their swirl and bubble thank you cards for that post-holiday note writing! My personal favorite is the rainy day love note. Buttercream also has an adorable online shop! Last, but not least is AnthroPoMorphCo. Here you'll run into Holly Jollies, Drinky-Poos and Mental Vegetables, so watch your step! But don't worry, they just want to be your friends. Check out the artist's profile. She has a cute story about how she thought she'd be a cartoonist until the 11th grade when the "theology nun" told her it wasn't really a career. 10.15 am: Sit in front of laptop and stare at screen. 10:20 am: Feel heart palpitations and convince yourself it is all in your head. 10:22 am: Stare at screen some more. 10:23 am: Consider how heart attacks CAN in fact occur in younger people. 10:24 am: Realize that announcing your fear of heart palpations and heart attack could be misconstrued. 10:45 am: Sit in front of laptop. 10:50 am: Think about all the shopping you are missing out on. 11:15 am: Wonder if you are getting enough oxygen having not set foot outdoors all day long. 11:45 am: Stare at laptop. 11:50 am: Worry that there is something wrong with your breathing patterns. 11:52 am: Crack open a window to increase oxygen flow. 11:53 am: Stare at laptop. 12:15 pm: Bake graham cracker crust and mix up pumpkin pie filling. 12:45 pm: Stare at laptop. And so it went...until 11:45 pm when I *finally* finished the dreaded paper, only to discover email was not working and I wouldn't be able to send it out before 12.30am. I don't usually buy dresses. In fact, until recently, I had been wearing my High School junior prom dress to every wedding and/or formal event. Deciding it was time to move on and buy something new, I took a shopping day in Philadelphia as my chance to see what's available. One of my good friends took me into MaxStudio. It was my lucky day. The shop had a little black dress in just my size and just my style. But the dress obsession didn't end there. My friend convinced me to try on a dress that I never would have looked at otherwise. It was a red cut out halter dress with black velvet patterning. I figured, why not indulge? The dress was one size too big, but it was unbelievably comfortable and really really unique! I decided to seek it out (in my size) once I got back to Boston. Sadly, upon entering the MaxStudio in Boston I was informed that the dress had been sold out, not once, but twice! Apparently they got the dress in two shipments and each time it disappeared off the rack. MaxStudio: I know EXACTLY the dress you are talking about! We sold out twice! 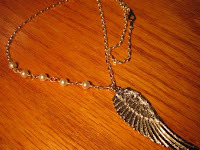 MaxStudio: Yah, it was such a gorgeous piece and such an amazing DEAL at $158! Me: I KNOW. SUCH a great deal! Normally I would not care to be in on the dress obsessions of Bostonians (known for their total lack of style,) but my underlying competitive side kicked in. In an uncharacteristic move I went and bought the dress online. It arrived in perfect condition a few days later. 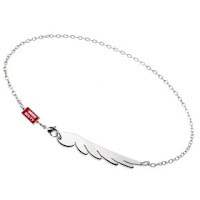 Now, I just need a really good excuse to wear it out. Let's hope I don't run into one of the other 10 people in Boston who also own this dress. 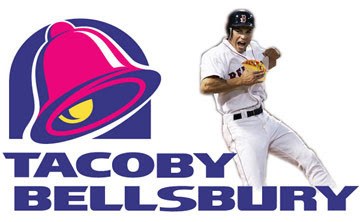 How odd that Taco Bell fits so neatly into Jacoby Ellsbury's name. You might start to think his steal must have been staged! With the flurry of friends and coworkers getting engaged and married these days I sometimes feel like I'm surrounded by RING OBSESSED FREAKS. I am, of course, including myself. Will an Alex Sepkus ring go with a classic diamond solitaire? Our opinion was that it's hard to go wrong with platinum and diamonds, but we'd have to see the pairing in person to be sure. Try the Aztec drinking chocolate made with hints of nutmeg, cinnamon, cardamom and cloves. Rich, thick and utterly delicious! Although it's not "traditional," the version with cream cheese frosting is pretty incredible. Surprisingly diminutive in size. And oddly enough, rather fake looking! The draw here is not so much the stores themselves, but rather the fabulous architecture of the old, converted buildings in which the stores are housed. Many of the stores have stained glass windows and high ornate ceilings. The Macy's downtown has a large, fully functional pipe organ. Sure, you might be able to find one of these if you were willing to take a drive out from Boston a ways, but when it's right in the airport, it can't get any more convenient! The odd "Eat Mor Chikin" Holstein cow campaign is a little bizarre, but that hand breaded chicken really is freaking good. Coming from Boston, the common sense ordering of blocks and numbered streets is very refreshing! Although the Art Museum is renowned for its collection, we instead spent an afternoon at the Mütter Museum at the College of Physicians of Philadelphia. The old-school high-ceilinged gallery houses a collection of medical oddities that is designed for meandering perusal. The library-like dark wood-trimmed display cases hold an impressive number of wax models, skulls and skeletal bits and pieces. Kind of gross, but kind of fascinating at the same time. While hunting for the location of a classical music concert, we were stopped by a man on his cell phone who wanted to know if we needed directions. He seemed very enthusiastic as he explained that the restaurant down the street would know exactly where we wanted to go. He then proceeded to walk us in through the door of the Prime Rib Steakhouse. A gentlemanly host from Prime Rib then walked us back outside and a bit further down the block so as to better point out where the concert hall was located. I guess Philly is just North of the Mason-Dixon line so Southern hospitality isn't so outlandish down there. If we'd had a little more time I would have explored the city more in depth. There is a fascinating dichotomy between old been-there-forever hole in the wall places and brand new yuppified shops all in the same city block! For two nights in a row I ordered the most expensive item on the menu: the Rochefort-stuffed filet mignon grilled medium rare and topped with Rochefort 10° Trappist Ale sauce (someone else was paying.) The first night, my cut was fabulous. The second night, the sauce was fantastic, but the meat was a bit on the fatty side. Ah well. I sopped up all the delicious juices with the homemade mashed potatoes and was still quite satisfied. One of my favorite lipglosses is made by PeaceKeeper, a cosmetics line that gives all of its after-tax distributable profits to women's health advocacy and human rights causes. The brand builds on a slave-labor free principle and tries to ensure that the companies it works with overseas pay fair wages to their employees. PeaceKeeper does not use products tested on animals. Three of the all natural lip glosses are named after funds to which the brand donates. I enjoy them because of their pleasant, silky texture and the unbelievable moisturizing quality. The glosses are made with Shea Butter, Carnauba wax and Vanilla extracts and they don't clump or gunk up. A fun (and kind of gross) feature on the website is the Kiss Museum, which includes kisses by famous people as well as anyone who cares to pucker up and submit. Go check it out: free your conscience and smack those lips! It's pretty fabulous. 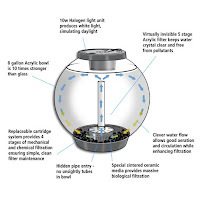 The BiOrb will filter water for you through a 5-stage system that requires very little maintenance for the owner (and a healthy environment for the fish!) On top of it all, you know it's good because it's an aquarium of choice for a number of Hollywood stars including Jessica Alba, Nicole Kidman, James Gandolfini, Jim Carrey, Ashlee Simpson and Gwyneth Paltrow. 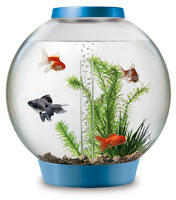 If this tank could also remember to feed the fish I think it would almost be worth the $120 price tag. 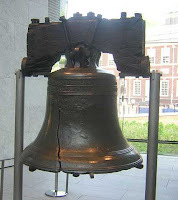 The City of Brotherly Love, the Liberty Bell and The Cheesesteak. The cheesesteak, known outside the Philadelphia, Pennsylvania area as the Philadelphia cheesesteak, Philly cheesesteak, or steak and cheese is a sandwich made with thinly sliced pieces of steak and melted cheese on a long roll. 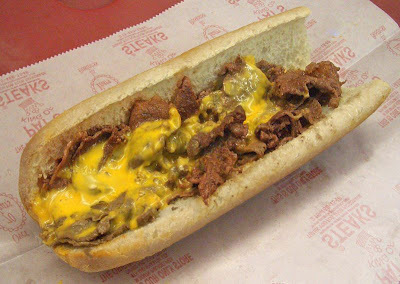 A cheesesteak without cheese is locally called a steak sandwich, or a Philly Steak in other parts of the country. 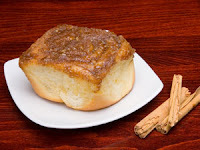 It was invented in the city in 1930 and considered to be a city icon along with other foods such as Tastykakes, water ice, the Philadelphia soft pretzel, hoagies, and scrapple*. 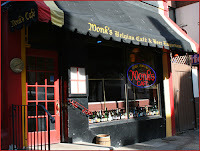 Fortunately I'll be heading to Philly with a friendly guide who knows some good places to get a decent cheesesteak. We'll have to try several spots to get a suitable sampling. *Scrapple is a savory mush in which cornmeal and flour, often buckwheat flour, are simmered with pork scraps and trimmings, then formed into a loaf.